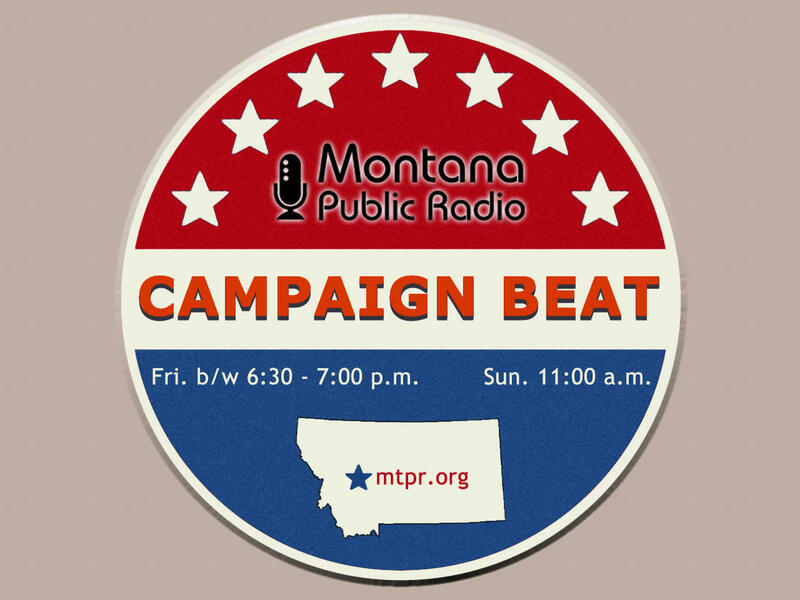 Sally Mauk: Welcome to "Campaign Beat," our weekly political analysis program I'm Sally Mauk and I'm joined by veteran Capitol reporter Chuck Johnson and University of Montana political science professor Rob Saldin. And Rob, political junkies like us are still figuring out what led to Kathleen Williams' victory in the House Democratic primary. She didn't have the money or the name endorsements that John Heenan and Grant Kier had she didn't have as many TV ads. She had pundits like us saying she was a longshot at best. And here she is the nominee. How'd she do it? Rob Saldin: Right, she pulled it off. It's certainly the story of this year's Montana primary. You know, I think there are a number of things we can point to. But you know, basically when we look at these things we have a lot of history to draw on and the proxies that we tend to use are public opinion polling, fundraising and endorsements, and over time these things hold up really good. But there obviously are exceptions and this seems to be one of them. And on the polling front, you know, in Montana we have so little polling that's made public and oftentimes what we do get isn't that reliable. We didn't have any public polling for this race so we were left with the fund raising, and on that front, I mean, she was a distant third. I think there were other things that you could look to in her campaign. Right from the very beginning it was, I think, apparent to most people who followed this closely that she was, you know, below Heenan and Kier, she was in a class by herself. There was Heenan and Kier who appeared to be the front runners, then Williams and then a number of other candidates who really didn't have a chance to break through. You know, one thing I think you can say - this isn't the only race in which we see this but money isn't the only thing that matters. SM: Here's what she had to say about that. Kathleen Williams: "What this campaign says is that money isn't everything and message is everying and service is everything." SM: I think until she won, Rob, a lot of people would characterize that as naive - politically naive - to say that money isn't everything. RS: Right. Well, I often think that that money isn't everything in these races where we're so saturated, right? Like the Senate race this fall - we're going to be just overwhelmed and bombarded by all this stuff. But you'd usually think where money really does matter is in a race like this where none of the candidates are well-known - that you really can usually leverage a lot of money to get your name out there. But I think you look at how Williams did this. You know, we can't know for sure. We don't have exit polls to clue us in about what voters were actually thinking but, you know, I think we can look at a number of factors at least and say, "Well, these things really were things that set Williams apart from Heenan and Kier." First there was a gender factor. Williams emphasized this very strongly from the beginning. She wanted to be the next Jeannette Rankin. She's not the first female candidate to do this of course. Denise Juneau tried to do this two years ago. But maybe what's different this time is that the timing for that sort of appeal just couldn't have been better, right? Identity in general resonates deeply with Democrats right now. On top of that, there was the disappointment for Democrats of Hillary Clinton losing the presidency despite getting more popular votes. We've also had the Me Too movement, the women's marches. So everything lined up really nicely for Williams on that front. Second, you know, I think you could say she found a sweet spot between Heenan and his Sanders-style, aggressive populism and Kier who was kind of a moderate. I think the heart and soul of the Democratic Party just isn't quite where Kier was in this particular cycle. And then, third, I think Williams just ran strongly everywhere. She didn't have any disastrous counties, and by contrast Heenan and Kier, while they did run very well in a lot of places, they had some really off-the-cliff disasters, too. Heenan only got 18 percent in Gallatin. Kier only got 18 percent in Cascade and, even worse, only 12 percent in Yellowstone. And you know, sorry, but you just can't win in Montana if you're only polling 12 percent out of Yellowstone. So, Williams wasn't necessarily winning every county but what she did do in the counties that she wasn't winning she was coming in a strong second place. SM: Do you think Heenan and Kier in a way cancel each other out, and she benefited from that? She was the alternative to those two who were seen as at different ends of the political spectrum. RS: Yeah. And you know, I think you can see that in terms of what I mentioned before - kind of ideologically and in terms of the style. She certainly had a softer more gentle touch than Heenan. But she also wasn't quite in that squishy moderate category that Kier was. You can look at a couple issue areas that I think really drove that home - guns being maybe the most important. She pivoted at some point during the campaign into taking a very aggressive, you know by Montana standards at least, gun control line and that really differentiated her from all of the other candidates. The other one, I mean,I think for voters who are interested in policy want somebody with some real policy chops. She demonstrated that with her proposal on health care, and she could also reference her time in the legislature. That was another distinguishing feature. 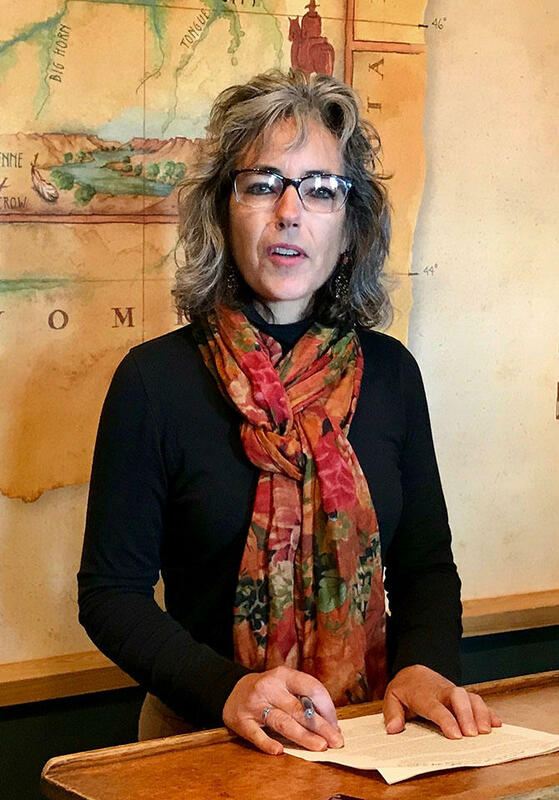 SM: Chuck, I'm guessing Greg Gianforte also wasn't expecting to be running against Kathleen Williams. And I'm also guessing he's got some attack points at the ready. What might they be? Guns, probably, for one. Chuck Johnson: I would guess so. You know Sally, I've always heard this said that it's hard for male political candidates to really go on the attack against female ones. Although, it clearly wasn't the case with Donald Trump and Hillary Clinton. But I would think the gun issues and the health care issues will be the ones that he'll try to attack Kathleen Williams on. And, you know again, we're without polls but has there been a change in Montanans' position on gun control after the raft of school shootings? I don't know. I mean, we saw Governor Bullock reverse his position, and Kathleen Williams came out strong after one of the school shootings this winter. So I don't know. I mean, it's hard to speculate without knowing what people think on a poll. SM: And we should point out, her policy would be to support universal background checks and also to ban certain types of assault weapons. So, those aren't radical in the gun control world - might be radical in the Montana gun control world. CJ: Important to add here, too, Sally, that Kathleen Williams is a hunter - owns several firearms herself, she pointed out in some of her ads. SM: And I'm sure we'll see some more ads of her out in the field with a rifle, too. And Chuck, party unity and enthusiasm are factors. Gianforte, even though he was running unopposed in the primary, still got fewer Republican votes than all the Senate Republican candidates combined. Is that going to be a factor in terms of Democrats maybe being more unified around their candidate? They'll be gung-ho behind Williams, it seems. CJ: I would think so. I mean, by my count, Gianforte fell about 16,890 votes shy of what the Republican Senate candidates got. And that would concern me if I were working for Gianforte because, you know, those people deliberately passed his name over - it was at the top of the ballot - and then went down and voted for a Senate candidate. That's clearly not a mark of enthusiasm to skip your top of the ticket candidate. On the other hand, people may have had their own reasons. I don't know. You know, I think Democrats will be united behind Kathleen Williams. John Heenan put out a nice statement pledging all his support and all his help. Oddly enough grant Kier did not. He put out a thank you but no mention of Kathleen Williams. You know, what we saw in the Republican Senate races the next day after the election, they all had statements saying they would strongly support Matt Rosendale. I would think the Democratic Party would be working on all the House Democratic candidates to get a similar type story out. And that also involves, in some cases, sharing mailing lists, fundraising lists and the like. So it's not just talk. If they can get a good endorsement and maybe get the fundraising list that can help a lot. SM: Well Rob, in the Senate Republican primary Russell Fagg held his own for a while on election night but couldn't, in the end, make up enough ground on Matt Rosendale who had both money and momentum carry him to victory. RS: Yeah, that's right. We can't of course know for sure, without exit polls, exactly how voters were weighing this thing. But you know, it's kind of like Kier on the Democratic side. I think in many ways the timing was just bad for someone like Fagg. In another cycle, things might have come together for him. You know, going into this campaign and for the first half of it, Fagg, to my mind, really stood out as a candidate who was the least like Donald Trump. His background was a great fit for the Republican Party as we knew it before Trump. Right? His is the GOP of the Bush family and Mitt Romney and John McCain or someone like Marc Racicot here in Montana. So, Fagg, as I viewed it, stood out as the most genteel. He was the most intellectual. Remember, during one of the candidate forums, he quoted Alexis de Tocqueville, right? Matt Rosendale and Troy Downing don't quote Alexis de Tocqueville. But then, about halfway through - maybe two thirds of the way through the campaign - he really took a step in a different direction. SM: He veered right for sure and he did himself perhaps no favors with a controversial anti-immigration ad that many on all sides of the political spectrum saw as racist. RS: Right. Yeah, it was really a turn in a different direction. There was something of a scorched earth element to the whole thing, not only the ad, which was widely criticized, but also, he just started very harshly attacking Rosendale and it all seemed to me to be kind of in an effort to out-Trump Rosendale and Downing. And the problem is that Rosendale and Downing just fit much better into that Trump mold than Russ Fagg does. And so I think Fagg in a way he was correct to identify the playing field that he was on, right? The Republican Party right now just doesn't want some Tocqueville-quoting kind of quasi-aristocratic throwback. Again, kind of the same problem that Kier had. The heart and soul of the party just isn't where those guys are at. Fagg though, he tried to pivot in the direction of this kind of Trumpian populism that has come to define the Republican Party. The problem is is that it cut against his brand and, I think, didn't fit him as a person. And so this just wasn't his year. His kind of message didn't have a natural home and then when he tries to pivot away it seems a little awkward. SM: Chuck, Matt Rosendale is hoping to ride Donald Trump's coattails to victory, and he thinks that's a winning formula. Matt Rosendale: "If we let Jon Tester and the Liberals seize control of the United States Senate they will undo all the progress that we've made. We can't let that happen." 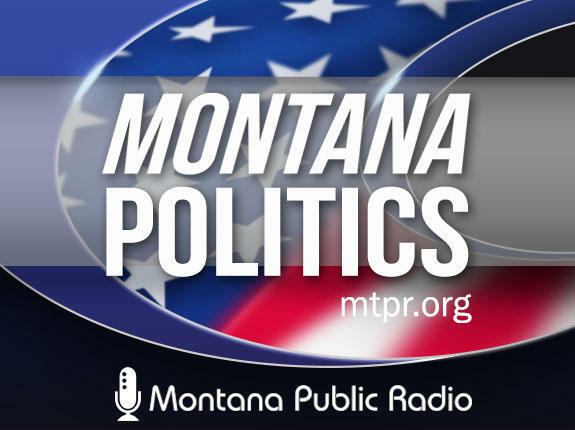 SM: And Chuck, this assumes that the majority of Montanans will continue to support President Trump and his agenda throughout this election year. CJ: Well it does. I referenced a poll earlier that I had seen in which Montana is one of four states where President Trump still has a positive job approval rating and it was 54 percent in Montana. And Trump won with 57 percent in 2016. So, he's banking on Trump, and Trump, of course, has said he will come to Montana. He's mad at Jon Tester for his efforts to criticize and ultimately caused the nomination of his VA director to blow up. And so I think Trump will be a big part of this. Tester so far we've seen has kind of not really gone after Trump. He's said he'll work with him when he can, and when he can't he won't. But he's gotten, I think, nearly a dozen bills signed into law by Trump maybe more than that, all having to do with veterans for the most part, I think. Tester will kind of toe the line - probably not criticize Trump very much. And Rosendale will criticize Tester not voting for some of the key things that Trump got done, particularly the tax cut. SM: We should point out though that President Trump this very week signed a bill into law that Senator Tester co-authored, but did not invite Senator Tester to the signing. Rob, so much can happen between now and November to affect the congressional elections. Trump is a volatile president. The Me Too movement, as you mentioned before, and the women's vote are factors. Is this a year where underdogs can maybe take heart and incumbents should be wary? RS: Yeah. Well, I think that's quite possibly the case. I mean we've seen some surprises here in Montana and there have been a number of other surprises nationwide. SM: The women's vote, Chuck, was evident in legislative races in the primary. Women did very, very well in Montana. CJ: Women won most every contested race against men in the legislative races. That's definitely unusual in Montana where men still outnumber women by about at least two to one in the legislature. And you know again, I think we're looking at the impact of the Women's March, the Me Too movement and the like. But this is quite a development for women to defeat men in that many primaries, I think. SM: Montana's House and Senate races are going to get a lot of national attention and money and we'll be following that this Fall. You've been listening to "Campaign Beat," our weekly political analysis program. I'm Sally Mauk and have been speaking with University of Montana political science professor Rob Saldin and veteran Capitol reporter Chuck Johnson. And Chuck, Rob and I are taking a break this summer but we will be back on the air in September to analyze the campaigns in the run up to the general election. And until then guys, I hope you have a great, great summer. CJ: Thanks, Sally. You too. 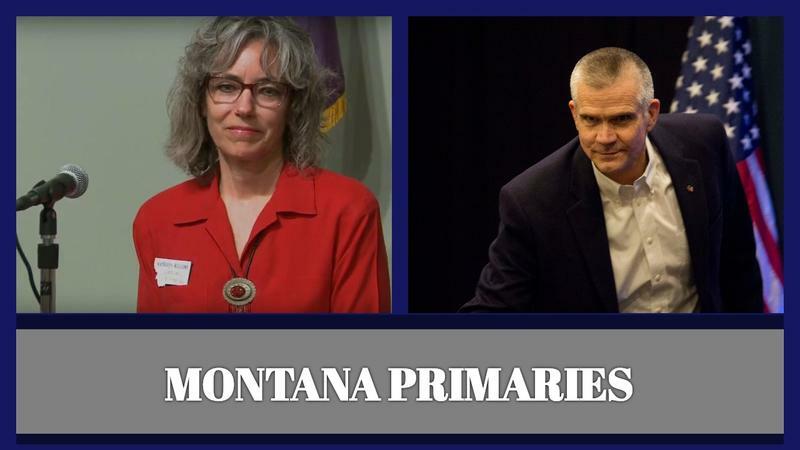 Despite raising less than half as much money as her top opponents, Kathleen Williams appears to have won the Democratic primary for Montana’s lone U-S house seat. State Auditor Matthew Rosendale is the Republican nominee to take on two-term Democratic Senator Jon Tester this November. Shortly before midnight Rosendale walked onto a stage in the Radisson Colonial Hotel in Helena, accepting victory and promising to fight for and work alongside President Trump. Rosendale says it’s time to send President Trump conservative reinforcement in the nation's capital. “What’s good for our nation is great for Montana,” Rosendale said, to cheers from supporters. 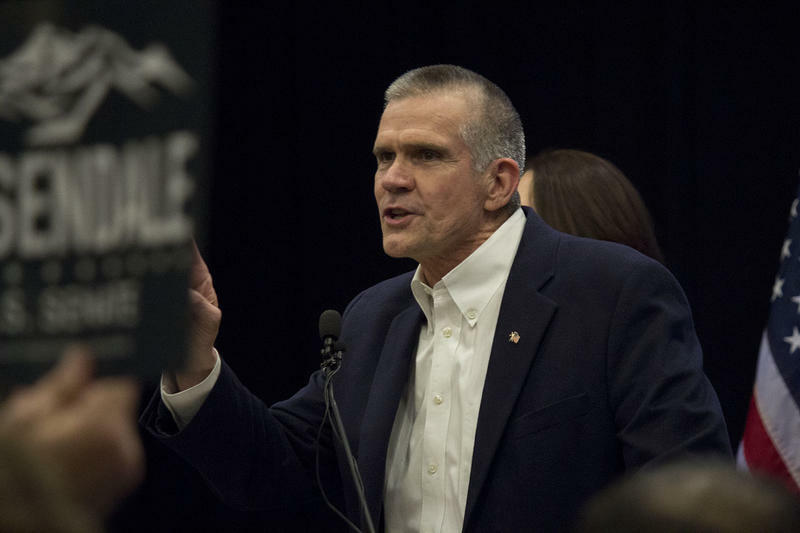 Voters Tuesday picked Republican state auditor Matt Rosendale to challenge Democratic U.S. Senator Jon Tester come November. His victory came as a big surprise to few. Kathleen Williams' victory in the Democratic U.S. House primary on the other hand, that was an eye opener. The former three-term state lawmaker from Bozeman eked out a two point win over John Heenan for the right to square off against Republican incumbant Greg Gianforte. University of Montana Political Science Professor Rob Saldin says Williams ran a strong campaign despite being cash poor.